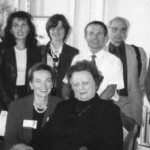 In the 1996/97 academic year the Faculty of Foreign Languages, the Ivan Franko National University in L’viv, Ukraine, launched the training of translators and interpreters to meet a pressing international need in the challenging environment of the new and complex relationships emerging in Ukraine. Professional interpreters and translators are needed for diplomatic, political and international activities of our Embassies as well as for a great number of other organizations in Ukraine and throughout the world. 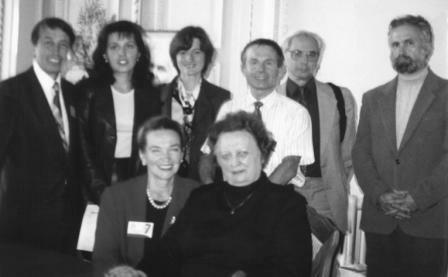 The Department was launched in March 1998 as a separate unit of the Faculty of Foreign Languages. 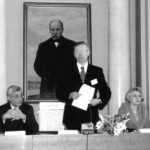 In September 1998, by the Resolution of the University Scholarly Council, the Department was named after Hryhoriy Kochur, an outstanding Ukrainian translator, translation studies and culture scholar. Doctor of Philology, Professor (since 2016 – Merited Professor of the University) Roksolana Zorivchak has been the Chairperson of the Department since 1998. The Department provides training for specialists-to-be in English-Ukrainian translation and German- / French- / Spanish-Ukrainian translation and English teachers. The Department is responsible for teaching English at different levels, as well as linguistic courses and the following disciplines: Practice of Simultaneous and Consecutive Interpreting, Contrastive Linguistics, Translation of Business Communication, Sci-Tech Translation, Theory of Translation, History of Artistic Translation, Dynamics of the Development of Translation Principles in a Historical Aspect, etc. When the Department was founded, five persons were teaching here. In the 2017-18 academic year, the Department encompasses 40.75 loads. 49 teachers are working at the Department, including 3 professors and 11 docents. The main aim of the teachers of the Department is to train interpreters, translators, and translation studies scholars. 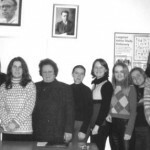 The following books and manuals were published by the teachers of the Department: “With anguish of our word I have anguished…” (Roksolana Zorivchak. 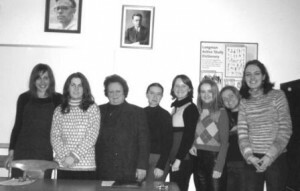 Ternopil, 2008); Contrastive Linguistics (Nadiya Andreichuk. Lviv, 2015); A Manual on Linguo-Stylistic and Translation Studies Analysis (as based on Oscar Wilde’s play “The Importance of Being Earnest” and its Ukrainian translation) (Olha Hrabovetska. Lviv, 2014); English and Ukrainian Lexicography (concise theory and history) (Oksana Dzera. Lviv, 2004); Methodological Recommendations for the Course in Translation of Sci-Tech Texts (Angela Kamyanets. Lviv, 2013); How to Write a Research Paper (Hanna Kosiv. Lviv, 2011); “White Fang” by Jack London : A Manual for Reading and Translating (Oleksandra Litvinyak. Kyiv, 2015); “Heart of Darkness” by Joseph Conrad : A Manual for Reading and Translating (Oleksandra Litvinyak. Kyiv, 2016). 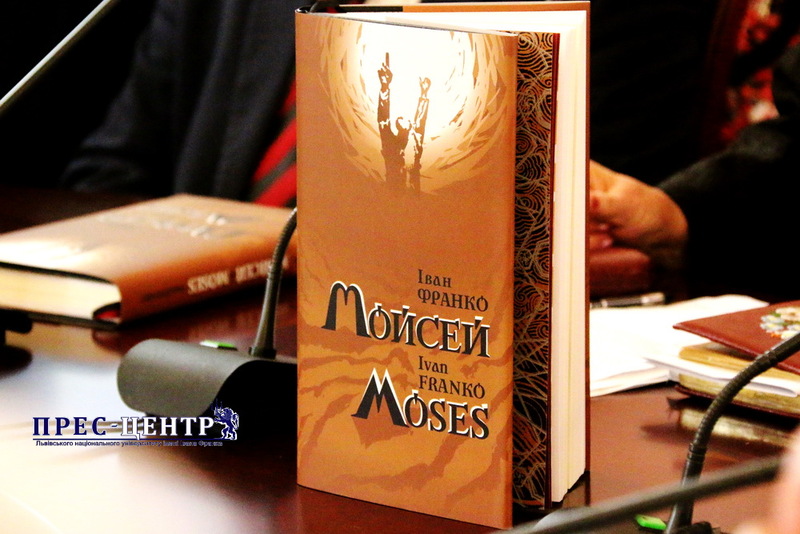 In collaboration with the Scholarly Library of the Ivan Franko National University of Lviv, the teachers of the Department developed the methods of translation studies bibliography, compiled and published bio-bibliography guides of Hryhoriy Kochur (1999; 2006), Mykola Lukash (2003), Roksolana Zorivchak (2004) and the bibliography Foreign Literature in Western Ukrainian Periodicals (1914-1939) (2003). Having researched huge numbers of periodicals and books, Taras Shmiher compiled the bibliography Ukrainian Translation Studies in the 20th Century (2013). The Department organized the All-Ukrainian Research Conference Hryhoriy Kochur in the Context of Ukrainian Culture in the Second Half of the 20th Century (2005), International Scholarly Conference The Creative Contribution by Hryhoriy Kochur in the Context of Ukrainian Culture of the 21st Century (2008) and All-Ukrainian Research Conference National Memory in Philology: Contribution of Professor Yuriy O. Zhluktenko (2015). 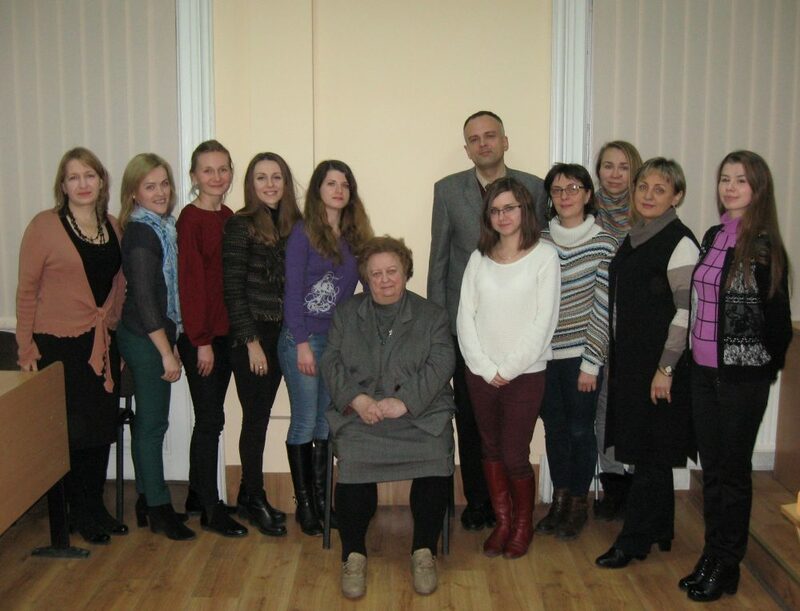 Since 1994, the Professor Yuriy O. Zhluktenko Methodological Workshop in Translation / Interpreting Studies and Contrastive Linguistics has been held. The Department was a member of the OPTIMALE project for optimizing professional translator training in multilingual Europe under the auspices of the Directorate-General for Education and Culture of the European Commission (2010-2013). 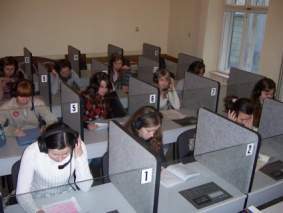 The department provides training for future specialists in English-Ukrainian translation; provides teaching of humanities and linguistic courses, as well as the following disciplines: Practice of Simultaneous and Consecutive Interpreting, Translation of Business Communication, Sci-Tech Translation, Theory and History of Translation, Dynamics of the Development of Translation Principles, etc. The Department admits high school graduates (of the Ukrainian or foreign citizenship) for a 4- or 6-year course of study. Applicants are to pass entrance exams in English, Ukrainian Language and Literature. The Department provides training for would-be translators and interpreters. The choice of languages is Ukrainian and English. We train our students to translate from Ukrainian and into Ukrainian. For the most proficient students a substantial German/French/Spanish – Ukrainian Translation course is offered too, which enables them to translate from German/French/Spanish as well. Graduates of the 4th year receive a Bachelor’s Degree in English – Ukrainian Translation/Interpreting and Teaching English. That qualifies them to occupy the positions of translators and interpreters and/or consultants at various organizations, industries as well as commercial enterprises and firms. They may also teach English to junior classes. The Master’s Course includes both profound qualifications in Translation Studies and Methods of Teaching Translation as well as research work. Graduates receive the Master’s degree that entitles them to teach at the Institutions of Higher Education, to be engaged in the activity of translating and interpreting at various levels or proceed with their postgraduate research. Upon graduation students receive diplomas certifying Higher Education in the specialities mentioned above. The suggested graduate programmes are well-designed, aiming at increasing in-depth language competence and translation/interpreting performance. In addition to the fundamental subjects of the Faculty, the Department offers a wide range of specialized theoretical and practical courses for training efficient specialists in the domain of Translation Studies and Contrastive Linguistics. The students shape their skills in translating and interpreting via practical courses such as simultaneous and consecutive interpreting, artistic translation, business interpreting and translating and sci-tech translation. In 2005 the Department equipped a simultaneous interpreting lab that gives students an opportunity to practice their interpreting skills. The teachers of the Department provide services as simultaneous and consecutive interpreters at international and all-Ukrainian conferences (Halyna Pekhnyk, Oleksandra Litvinyak, Oksana Zubchenko, Liliya Kushnir, Svitlana Brehman, Yuliya Harasym), translate fiction and scientific literature (Angela Kamyanets, Taras Shmiher, Halyna Stashkiv, Halyna Pekhnyk, Oleksandra Litvinyak). 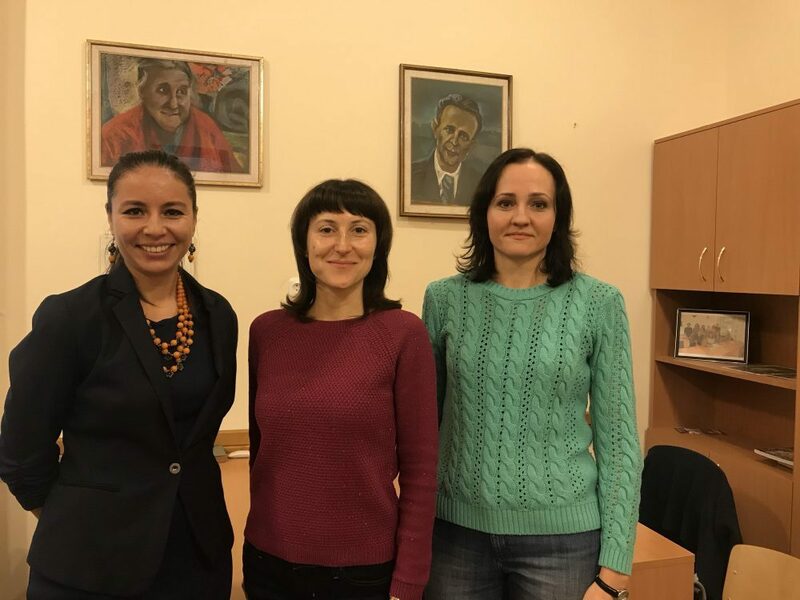 The teachers of the Department provided simultaneous and consecutive interpreting services at more than 430 international conferences, workshops, and training sessions. Over 100 students interpreted at various international events in Lviv and in the region, in particular at the 8th International Blown Glass Symposium, (2010), 2012 EUFA European Championship, 28 Men’s and 19 Women’s World Masters Weightlifting Championships (2012), European Junior Boxing Championships (2015), European Championships for Space Models (2015), World Championships for Space Models (2016). For their highly qualified teaching and research, the teachers of the Department received honorary awards and certificates of merit, in particular, Roksolana Zorivchak and Taras Shmiher became laureates of the Hryhoriy Kochur Literary Prize (2011 and 2015), Professor Zorivchak was awarded the Mykola Lukash Literary Prize Ars translationis, launched by the editorial board of the Vsesvit journal (2013). In 2016, Professor Zorivchak was also awarded the Order of Princess Olha (3rd Degree) by Decree of the President of Ukraine. Renowned Ukrainian and foreign scholars delivered lectures at the Department, namely Prof. Michael Naydan (Pennsylvania State University), Dr. Matthew Dube, Prof. Leonid Rudnytskyy, Prof. Maksym Strikha, Prof. Leonid Chernovatyy, Prof. Oleksandr Cherednychenko, Prof. Nataliya Zhluktenko, Dr. Rafael Turkoniak, Dr. Alan Flowers, as well as the following outstanding translators: Vera Rich, Vsevolod Tkachenko, Peter Fedynsky, Roman Karpishka and others. 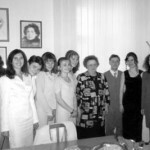 Under the supervision of Prof. Roksolana Zorivchak, the teachers of the Department organize literary soirees and solemn academies every year, in particular, poetic soirees dedicated to Hryhoriy Kochur, Mykola Lukash, Vera Rich, Taras Shevchenko’s and Ivan Franko’s poetry readings, as well as solemn academies to mark the International Translation Day. Григорій Кочур: Біобібліогр. покажч. : У 2 ч. / Уклад. : Г. Домбровська, З. Домбровська; Наук. ред., авт. передм. Р. Зорівчак; Редкол. : Б. Якимович (голова) та ін. – 2-е вид., доопрац. і допов. – Львів : ЛНУ ім. Івана Франка, 2006. – 756 с. – (Українська біобібліографія. Нова серія; Чис. 21). Українське перекладознавство ХХ сторіччя : бібліографія / ЛНУ імені Івана Франка, НТШ ; уклав Т. Шмігер ; [автори передм. : Р. Зорівчак, Т. Шмігер ; наук. ред. Р. Зорівчак]. – Львів, 2013. – 626 с.
Андрейчук Н. І. Contrastive Linguistics = Контрастивна лінгвістика: навч. посібник / Н. Андрейчук. – Львів : ЛНУ імені Івана Франка, 2015. – 343 с.
Грабовецька О. С. Практикум з лінгвостилістичного та перекладознавчого аналізу (на матеріалах п’єси Оскара Вайлда “The Importance of Being Earnest” та її українського перекладу) : навч. посіб. для студентів перекладацьких відділів факультетів іноземних мов / О. С. Грабовецька. – Львів : ЛНУ ім. Івана Франка, 2014. – 114 с.
Дзера О.В. Англійська й українська лексикографія (коротка теорія та історія) / О.В. Дзера. – Львів : Вид-во Львів. нац. ун-ту імені І. Франка, 2004. – 170 с.
Kosiv H. How to Write a Research Paper. A Manual for Students. Як написати наукову роботу. Навчальний посібник для студентів / H. Kosiv. – Львів : Колесо, 2011. – 64 с.
Літвіняк О.В.“Біле ікло” Джека Лондона : посіб. для читання і перекладу / О. В. Літвіняк. – К. : Знання, 2015. – 126 с.
Літвіняк О. В. “Серце темряви” Джозефа Конрада : посібник для читання і перекладу / О. В. Літвіняк. – Київ : Знання, 2016. – 95 с.
Українсько-англійський фразовий глосарій суспільно-політичної лексики (Укладачі: Л. Тарапацька, О. Федів, М. Кравцова, Т. Остра, Ю. Юрчишин. – Львів : ЛНУ ім. І. Франка, 2016. – 164 с.
Мартеллі А. 21 безкоштовний інструмент для перекладачів / Алессандра Мартеллі; переклад з англійської. – Львів, Львівський національний університет імені Івана Франка, 2017. – 97с. Зорівчак Р. “Боліти болем слова нашого…” / Р. Зорівчак. 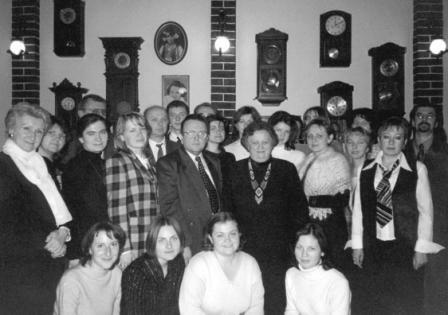 – Львів : ЛНУ імені Івана Франка, 2005. – 296с. Зорівчак Р. „Боліти болем слова нашого…”: Поради мовознавця / Р. Зорівчак. – 2-е вид., допрац. і доповн. – Тернопіль : Мандрівець, 2008. – 176 с.
Шмігер Т. Історія українського перекладознавства ХХ сторіччя / Т. Шмігер ; Передм. Р. Зорівчак. – Київ: Смолоскип, 2009. – 342 с.
Микола Лукаш: Моцарт українського перекладу : Біографічно-бібліографічний та мистецький нарис / [Черняков Б.І., Новикова М.О., Савчин В.Р. та ін.] ; за ред. Л.М. Черноватого та В.І. Карабана. – Вінниця : Нова Книга, 2009. – 445 с.Кам’янець А. Інтертекстуальна іронія і переклад / Кам’янець Анжела Богданівна, Некряч Тетяна Євгенівна. – К. : Видавець Карпенко В.М., 2010 р. –176 с.
Косів Г. Віра Річ. Творчий портрет перекладача / Г. Косів. – Львів : Піраміда, 2011. – 264с. Савчин В. Микола Лукаш – подвижник українського художнього перекладу: Монографія / В. Р. Савчин. – Львів Літопис, 2014. – 374 с.
Гораль (Банах) Н. В. Зламані стереотипи: життєпис / Н. В. Гораль (Банах). – Львів: СПОЛОМ, 2016. – 64 с.
Гриців Н. М. Василь Мисик: Різногранний діамант українського художнього перекладу / Н. М. Гриців. – Вінниця : Нова книга, 2017. – 296 с. Going East: Discovering New and Alternative Traditions in Translation (Studies) / ed. by L. Schippel and C. Zwischenberger. – Berlin : Frank & Timme, 2017. – 540 p. / Odrekhivska I. In the Realm of Translation Studies in Ukraine: Re-visiting Victor Koptilov’s Translation Concept – P. 513–532. Майфет Г. Вибрані розвідки з перекладознавства / Г. Май­фет ; НТШ, Коміс. всесвіт. л-ри ім. М. Лукаша ; [упорядкув., вступ. ст. і прим. Т. В. Шмігер]. – Львів, 2017. – 97 с.
Григорій Кочур у контексті української культури другої половини ХХ віку: Матеріали Всеукр. наук. конф. (Львів, 14-15 жовт. 2005 р.) / Львів. нац. ун‑т ім. І. Франка, Київ. нац. ун-т ім. Т. Шевченка, Літ. музей Григорія Кочура; Редкол. : Р. Зорівчак (голова), та ін. – Львів : Вид. центр ЛНУ ім. І. Франка, 2007. – 296 с.
Од слова путь верстаючи й до слова: Зб. на пошану Роксолани Петрівни Зорівчак, д-ра філол. наук, проф., заслуженого працівника освіти України / Редкол. : О.І. Чередниченко (голова), та ін. – Львів : Вид. центр ЛНУ ім. І. Франка, 2008. – 1009 c.
Кочур Г. Література та переклад. Дослідження. Рецензії. Літера­тур­ні портрети. Інтерв’ю : у 2 т. / Г. Кочур ; упоряд. : А. Кочур, М. Кочур ; [редкол. : А. Кочур (голова), І. Дзюба, Р. Зорівчак та ін. ; прим. М. Стріхи]. – К. : Смолоскип, 2008. – 1172 с.
Творчість Григорія Кочура у контексті української культури XXI віку : до 100-річчя від дня народження Майстра : Матеріали IV Міжнар. наук. конф. (Львів, 15–17 листопада 2008 р.). – Львів : Видавничий центр ЛНУ імені Івана Франка, 2009. – 328 с.
Національна пам’ять у філології: спадщина професора Юрія Олексійовича Жлуктенка : матеріали Всеукраїнської наукової конференції (Львів, 2–3 жовтня 2015 р.) / редкол. : Зорівчак Р. П. (голова), Жлуктенко Н. Ю., Чередниченко О. І., Ажнюк Б. М., Сулим В. Т., Коцюба З. Г., Літвіняк О. В., Шмігер Т. В. – Львів, 2017. – 294 с.
Савчин В. Перехресні стежки Миколи Лукаша і Пантелеймона Куліша / В. Савчин // Studia Ukrainica Posnaniensia. – Zeszyt V. – Poznan, 2017. − С. 341−348. Шмігер Т. Стильові питання перекладу «Треносу» Мелетія Смотрицького: відтворення прозиметрії та багатомовности / Т. Шмігер // Radomskie Studia Filologiczne. – 2017. – № 1 (5). – С. 39–48. Андрейчук Н.І. Культурний семіозис: до поняття візуальної книги / Н. І. Андрейчук // Studia Philologica (Філологічні студії): зб. наук. праць / редколегія І. Р. Буніятова, Л. І. Бєлєхова, О. Є. Бондарева [та ін.]. – К.: Київ. ун-т ім. Б. Грінченка, 2016. – С.3–10. Дзера О. В. Науково-критичне осмислення біблійної інтертекстуальності в працях Івана Франка / О. В. Дзера // Записки Наукового товариства імені Шевченка. Праці Філологічної секції. – Львів : Вид-во Наукового товариства імені Шевченка, 2016. – Т. CCLХІХ. – С. 143–151. Зорівчак Р. Who could have been more devoted… To mark the eightieth anniversary of Vera Rich’s birth (London, Apr. 24, 1936 – London, Dec. 20, 2009) / Р. Зорівчак // Іноземна філологія. – Львів, 2016. – Вип. 129. – С. 134–145. Кушнір Л. О. Відтворення авторської лексики штучних мов Дж. Р. Р. Толкіна в українсь­ких перекладах / Л. О. Кушнір // Науковий вісник Херсонського державного університету. Серія «Перекладознавство та міжкультурна комунікація». – 2016. – Вип. 4. – 124 с. – С. 22–29. КушнірЛ. О. Стратегії відтворення імпліцитного змісту творів Дж. Р. Р. Толкіна в українських перекладах / Л. О. Кушнір // Науковий вісник Міжнародного гуманітарного університету. Серія: «Фі­лологія». – Одеса : Міжнародний гуманітарний університет, 2016. – Вип. 24, Т. 2. – 172 с. – С. 118–122. КушнірЛ. О. Стратегії відтворення «мовної поліфонії» творів Дж. Р. Р. Тол­кіна в українських перекладах / Л. О. Кушнір // Науковий вісник Херсонського державного університету. Серія «Перекладознавство та міжкультурна комунікація». – 2017. – Вип. 5. – 118 с. – С. 18–26. Шмігер Т. Релігійний переклад як галузь перекладознавства / Т.Шмігер // Іноземна філологія. – Львів, 2016. – Вип. – С. 153–160. Шмігер Т. Оживає античність / Т.Шмігер // Іноземна філологія. – Львів, 2016. – Вип. – С. 225–226. – Рец. на кн. : Андрій Содомора : біобібліогр. покажч. / Львів. нац. ун-т ім. Івана Франка, Наук. б-ка ; [уклад. М. Кривенко ; редкол. : В. Кметь (голова), Л. Панів, О. Седляр]. – Львів : ЛНУ ім. І. Франка, 2013. – 348. Шмігер Т. Риторичні категорії тексту в перекладі полемічної літератури: «Тренос» Мелетія Смотрицького в перекладах українською та англійською мовами / Т.Шмігер // Науковий вісник кафедри ЮНЕСКО Київського національного лінгвістичного університету. Сер. Філологія. Педагогіка. Психологія. – Київ, 2017. – Вип. 34. – С. 153–160. Savchyn V. A Survey of the Archive of Mykola Lukash / V. Savchyn // Inozemna Philologia. – 2016. – Issue 129. – P. 145–152. Кайку М. Майбутнє розуму / Мічіо Кайку [перекл. з англ. А.Кам’янець]. – Львів : Літопис, 2017. – 408 с.
Орлевич І. Передмова / І. Орлевич // Національна ідентифікація українців Галичини у ХІХ – на початку ХХ століття (еволюція етноніма) / наук. ред. І. В. Орлевич; переклад передмови В. Кобилецька; Інститут українознавства ім. І. Крип’якевича НАН України; Інститут релігієзнавства – філія Львівського музею історії релігії. – Львів : Логос, 2016. – 320 с.
Записки НТШ. Т. 265 : Праці Історично-філософської секції / [ред. тому О. Купчин­сь­кий ; пер. резюме англ. мовою Р. Зорівчак, Т. Шмігер, Ю. Янішевська]. – Львів, – 566 с.
Записки НТШ. Т. 267 : Праці Музикознавчої секції / [ред. тому О. Купчин­сь­кий ; пер. резюме англ. мовою Ю. Гарасим, Р. Зорівчак, Т. Шмігер]. – Львів, – 480 с.
Записки НТШ. Т. 268 : Праці Комісії спеціальних (допоміжних) історичних дисциплін / [ред. тому О. Купчин­сь­кий ; пер. резюме англ. мовою Р. Зорівчак, Т. Остра, Т. Шмігер]. – Львів, – 390 с.
Записки НТШ. Т. 269 : Праці Філологічної секції / [ред. тому О. Купчин­сь­кий ; пер. резюме англ. мовою Р. Зорівчак, І. Одрехівська, Т. Шмігер]. – Львів, – 658 с.
Найдан М. Від Гоголя до Андруховича / М. Найдан; пер. з англ. Безух Г., Рябчук М., Зубрицька М., Лучук О., Олійник М., Тацяк О. – Львів : Піраміда, 2017. – 150 с.
Кіз Д. П’ята Саллі / Д. Кіз ; перекл. з англ. В. Куч. – Х. : Клуб сімейного дозвілля, 2017. – 352 с.
Річ Віра. Післямова перекладача / Віра Річ ; перекл. з англ. Л. Тарапацька // Іван Франко. Мойсей: Поема / Ivan Franko. Moses: Poem. – Львів : Львівський національний університет імені Івана Франка, 2017. – 312 с.
Григорій Кочур. Бібліографічний покажчик / Укл. : Г. Домбровська, З. Домбровська: Наук. ред., автор передмови Р. Зорівчак. – Львів: ЛНУ ім. Івана Франка, 1999. – 256 с.
Чужоземне письменство на сторінках західноукраїнської періодики (1914 – 1939): Бібліографічний покажчик/ За заг. ред. О.Лучук, Т.Лучука; Наук. ред. Р.Зорівчак. – Львів: ЛНУ ім. Івана Франка, 2003. – 194 с.
Микола Лукаш: Біобібліогр. покажч. / Уклад. В.Савчин; Наук. ред., співавтор передм. Р.Зорівчак; Редкол. : Б.Якимович (голова) та ін. – Л.: ЛНУ ім. 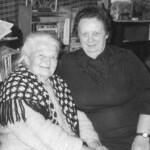 Івана Франка, 2003. – 356 с.
Зорівчак Р. П. Фразеологічна одиниця як перекладознавча категорія (на матеріалі перекладів творів української літератури англійською мовою). – Л.: вид-во при Львів. 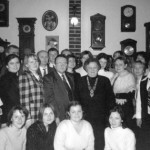 ун-ті, 1983. – 175 с.
Зорівчак Р. П. Реалія і переклад (на матеріалі англомовних перекладів української прози). – Львів: Вид-во при Львів. держ. 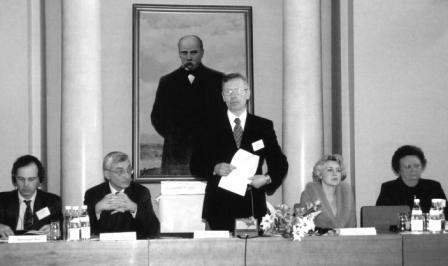 ун-ті, 1989. – 216 с.
Зорівчак Р.П. Боліти болем слова нашого… – Львів: ЛНУ імені Івана Франка, 2005. – 296с. Зорівчак Р.П. Гончаренко Агапій // Енциклопедія сучасної України / НАН України. Ін-т енцикл. досліджень; НТШ; Голов. редкол. тому: І.М. Дзюба (співголова), А.І. Жуковський (співголова), М.Г. Железняк та ін. – Київ, 2006. – Т. 6: Го-Гю. – С. 150-151. Зорівчак Р.П. Григорович Андрій Олександрович // Енциклопедія сучасної України / НАН України. Ін-т енцикл. досліджень; НТШ; Голов. редкол. тому: І.М. Дзюба (співголова), А.І. Жуковський (співголова), М.Г. Железняк та ін. – Київ, 2006. – Т. 6: Го-Гю. – С. 443. Зорівчак Р.П. Україністика в науково-творчій спадщині професора Юрія Олексійовича Жлуктенка // Мовні і концептуальні картини світу: Зб. наук. праць / Київ. нац. ун-т імені Тараса Шевченка. – Київ: ВПЦ “Київ. ун-т”, 2006. – Вип.. 17: (До 90-річчя від дня народження професора Ю.О. Жлуктенка). – С. 140-157. Зорівчак Р.П. Він жив за Кодексом честі: У вінок шани Григорія Кочура // Літ. Україна. – 2007. – 10 трав. Зорівчак Р.П. З Україною в серці: [Про Маркіяна Нагірного] // Маркіян Нагірний: Поет, науковець, перекладач / Редкол. : М. Падура, Р. Хоркавий, М. Занічковський, А. Содомора. – Львів, 2007. – С. 241-243. Зорівчак Р.П. Кочурознавство: обґрунтування терміна і його дефініції // Філологічні студії: Наук. часопис / Редкол. : Л.В. Бублейник, О.А. Галич, В.Ф. Давидюк та ін. – Луцьк, 2007. – № 1/2 (39/40). – С. 61-71. Зорівчак Р.П. На ниві перекладознавства: [Про академіка і члена Президії АН ВШ України, д-ра філол. наук, проф. Олександра Чередниченка] // Літ. Україна. – 2007. – 21 черв. Зорівчак Р.П. Реалія як компонент національно-культурного контексту: перекладо¬знавчий погляд // Одиниці та категорії сучасної лінгвістики: До 60-річчя з дня народження д-ра філол. наук., проф. Володимира Дмитровича Каліущенка: [Зб. статей] / Редкол. : О.Л. Бєссонова (відп. ред. ), А.П. Загнітко, А.Е. Левицький та ін. – Донецьк: ТОВ “Юго-Восток Лтд”, 2007. – С. 398-428. – (Розд. VI: Лінгвокультурологічні аспекти вивчення мовних одиниць. Перекладознавство). Зорівчак Р.П. Уважним доторком до Слова: Назустріч ювілею Олександра Івановича Чередниченка // Studia Germanica et Romanica: Іноземні мови. Зарубіжна література. Методика викладання. Наук. журнал / Редкол. : В.Д. Каліущенко (голов. ред.) та ін. – Донецьк: ДонНУ, 2007. – Т. 4, № 2. – С. 121-123. Зорівчак Р.П. Український художній і науковий переклад у політико-культурологічній концепції Івана Франка // Наукові записки Академії наук вищої школи України. – Дніпропетровськ, 2007. – Т. 2. – С. 22-39. Зорівчак Р.П. Український художній переклад як націєтворчий чинник // Зарубіж. л-ра. – 2007. – Квіт. (Чис. 14). – С. 1-5. Зорівчак Р.П. Шевченкове слово в англомовному світі // Іноземні мови в навчальних закладах. – 2007. – № 1 (23). – С. 96-100. Зорівчак Р.П. На зустріч ювілею великого майстра (Рец. на: Содомора А. Студії одного вірша. – Львів: Літопис, Видавничий центр ЛНУ імені Івана Франка, 2006.) // Всесвіт. – 2007. – № 9-10. – С. 177-180. Дзера О.В. Індивідуально-авторське трактування біблійних мотивів як перекладознавча проблема (на матеріалі українських перекладів творів Дж. Г. Байрона): Автореф. дис. … канд. філол. наук / Київ. нац. ун-т. – Київ, 1999. – 21с. Дзера О.В. Англійська й українська лексикографія (коротка теорія і історія). – Львів: ЛНУ ім. Івана Франка, 2004. – 170с. Дзера О.В. Рівнева асиметрія засобів позначення у перекладі (на основі метабіблійних концептів у творах Т. Шевченка та їх англомовних перекладах) // Мовні і концептуальні картини світу: Збірник наукових праць. – К.: Видавничо-поліграфічний центр „Київський університет”, 2006. – Вип. 17. – С. 115-122. Дзера О.В. Концепт «лукавствіє» в метабіблійних творах Т. Шевченка та їх англомовних перекладах // Вісник Львівського університету. Серія Іноземні мови. Вип. 13. – 2006. – С. 176-183. Дзера О.В. Методи перекладу поетичних уривків із „Аліси в Країні Чудес”: орієнтація на цільового читача // Іноземна філологія. – Вип. 119. – 2007. – С. 111-118. Волошин О.Я. “Полтава” у перекладі Є. Гребінки. Критичний огляд Миколи Зерова // Лінгвістичні дослідження. Актуальні проблеми сучасного художнього перекладу: Матеріали Міжнародного науково-методичного семінару. Випуск 6. – Горлівка: Видавництво ГДПІІМ, 2007. – С. 27-34. Волошин О.Я. Постать Пантелеймона Куліша в контексті критичних і перекладознавчих праць Миколи Зерова // Мова і культура. – Вип. 9. – Т. 8 (96). – К.: Вид. Дім Д. Бураго, 2007. – С. 146-151. Волошин О.Я. Неокласицизм у полі системі української культури: перекладознавчий аспект праць М. Зерова // Філологічні студії. – № 1-2 (39-40). – Луцьк, 2007. – С. 55-60. Грабовецька О. С. Епітетна конструкція у художньому перекладі (на матеріалі української та англійської мов): Автореф. дис. … канд. філол. наук: 10.02.16 / КНУ імені Тараса Шевченка. – К., 2003. – 22 с.
Грабовецька О.С. Інтерпретація шекспірівського розуміння добра і зла в українських перекладах трагедії „Отелло” (до питання про перекладацькі стратегії) // Мовні і концептуальні картини світу: Зб. наук. праць / Київ. нац. ун-т ім. Тараса Шевченка, Факультет інозем. філології.– К.: Видавничо-поліграфічний центр „Київський університет”, 2006. – Вип. 17. – С. 99-110. Грабовецька О.С. Байронів шедевр “The Destructionof Sennacherib” у відтворенні М.Зерова та Д.Паламарчука (роздуми над двома перекладами одного вірша) //Вісник Львівського національного університету. Серія іноземні мови. 2006. Вип.13. – С.184-189. Грабовецька О.С. Константа „Любов” у концептуальній картині світу Івана Франка: перекладацькі інтерпретації (на матеріалі поетичних творів та їх англомовних перекладів) // Філологічні студії 1-2 / Науковий часопис. – Луцьк, 2007. – № 39-49. – С.18-26. Кам’янець А.Б. Рівні прочитання і перекладацька інтерпретація тексту // Наукові записки. Серія „Філологічна”. – Острог: Видавництво НаУ „Острозька академія”. – Вип. 8. – 2007. – С. 29-38. Косів Г.М. Перекладацький метод Віри Річ як інтерпретатора української художньої літератури: Автореф. дис. … канд. філол. наук/Київ, 2006 Автореф. дис. … канд. філол. наук. – 19 c.
Косів Г.М. Глобальний контекст перекладів Віри Річ // Філологічні студії. – Луцьк: Волин. обл. друкарня, 2007. – № 1-2 (39-40). – С. 26-33. Максимів Г.З. Відтворення казок І.Франка „Коли ще звірі говорили” в англомовному перекладі М.Скрипник та В. Щезни// Філологічні студії. – № 1-2. – Луцьк, 2007. – С. 93-99. Молчко О.О. Етномовний компонент у порівняльній конструкції: особливості вираження (українсько-англійське зіставлення) // Мовні і концептуальні картини світу (до 90-річчя від дня народження Ю.О. Жлуктенка). Збірник наукових праць. Вип. 17. – 2006. – С. 263-269. Молчко О.О. Відтворення порівняльних конструкцій з концептом «страх» (на матеріалі українських художніх текстів та їхніх англійських перекладів) // Філологічні студії . – № 1-2. – Луцьк 2007. – С. 175-183. Молчко О.О. Порівняльні конструкції з реалією в українських та англійських мовах (перекладознавчий аспект) // Вісник Львівського університету. Серія Іноземні мови. Вип. 13. – 2006. – С. 109-197. Олексин О.З. Шекспірів каламбур та його відтворення у перекладі (на матеріалі комедій В.Шекспіра та їхніх українських перекладів) // Філологічні студії. – Луцьк, 2007. – № 1-2. – С. 37-42. Пехник Г.В. Кольоролексеми та їх відтворення (на матеріалі перекладів Г. Кочура) // Філологічні студії. – № 1-2 (39-40). – Луцьк, 2007. – С. 42-48. Савчин В. Світ музики і театру крізь призму перекладів Миколи Лукаша // Мовні і концептуальні картини світу: Зб. наук. праць. – К., 2006. – Вип. 17. – С. 337-341. Савчин В. Відтворення значущих власних назв у перекладах Миколи Лукаша // Вісник Львівського університету: Серія іноземні мови. – Л., 2006. – Вип. 13. – С. 207-213. Савчин В. Лукашіана Михайла Москаленка // Всесвіт. – 2007. – № 3-4. – С. 146-151. Савчин В. Стилістичні деривати у перекладах Миколи Лукаша // Вісник Прикарпатського національного університету імені Василя Стефаника. Філологія. – Вип. XV-XVIII. – Івано-Франківськ, 2007. – С. 570-574. Савчин В. Творчий метод Миколи Лукаша крізь призму одного перекладу // Мовознавство. – 2007. – № 1. – С. 73-80. Семеніхіна О. Словесні образи як засоби типізації персонажів (на матеріалі твору Ч. Діккенса “Девід Копперфілд” та його українського перекладу) //Мовні і концептуальні картини світу. – Київ, 2006. – Вип.17. – С. 346-352. Семеніхіна О.С. “Різдвяна пісня в прозі”: два переклади – два століття //Філологічні студії. – Луцьк, 2007. – № 1-2. – С. 48-55. Ситар Р.А. «Борис Яценко – перекладач ліро-епічної поеми «Слово о полку Ігоревім» // Мовні і концептуальні картини світу: Зб. наук. праць – К.: ВПЦ Київський університет, 2006. – С. 360-367. Ситар Р. А. Методичні вказівки до вивчення фонетичних аспектів англійської мови / для студентів І, ІІ року навчання факультету іноземних мов. – Львів: Видав. центр ЛНУ ім. І. Франка, 2003. – 84 с.
Шмігер Т. Перекладознавчі дослідження на сторінках журналу „Мовознавство” (1967-2000) // Мовні і концептуальні картини світу: Зб. наук. праць / КНУ ім. Т. Шевченка. – К.: ВПЦ „Київський університет”, 2006. – Вип. 17: (До 90-річчя від дня народження професора Ю.О. Жлуктенка). – С. 459-465. Волошин О.Я. Неокласицизм в українському перекладознавстві. Феномен Миколи Зерова // Актуальні проблеми перекладознавства та методики навчання перекладу: Матеріали четвертої Всеукраїнської конференції, 19-20 квітня 2007р. – Харків, 2007. – С. 23-24. Косів Г.М. Інтертекстуальність перекладів Віри Річ як елементів цільової літературної системи // Матеріали Четвертої Всеукр. наук. конф. – Харків: НТМТ, 2007. – С. 69-70. Олексин О.З. Відтворення функцій каламбурів в українських перекладах комедій В.Шекспіра // Матеріали Четвертої Всеукраїнської наукової конференції «Актуальні проблеми перекладознавства та методики навчання перекладу». – Харків: НТМТ, 2007. – С. 96-97. Семеніхіна О.С. Українська Діккенсіана: до історії питання//Матеріали Четвертої Всеукраїнської наукової конференції «Актуальні проблеми перекладознавства та методики навчання перекладу». – Харків: НТМТ, 2007. – С.119-120. Рой М.О. “Поняття “поетика” в калейдоскопі перекладознавчих і літературознавчих підходів” // Матеріали Четвертої Всеукраїнської наукової конференції «Актуальні проблеми перекладознавства та методики навчання перекладу». – Харків: НТМТ, 2007. – С. 106-107. Шмігер Т.В. Внесок Олександра Фінкеля у розвиток перекладознавчого аналізу в Україні: [Тези] // Актуальні проблеми перекладознавства та методики навчання перекладу: Матеріали Четвертої Всеукр. наук. конф. 19-20 квітня 2007 / Харків. нац. ун-т ім. В.Н. Каразіна. Ф-т інозем. мов. – Харків, 2007. – С. 155 156. Zorivchak R. For the Sake of Ukrainian Literature: [Про Віру Річ – англійську перекладачку української літератури] // The Ukrainian Quarterly: A journal of Ukrainian and international affairs. – 2007. – Vol. 63, No. 1. – P. 33-42. Shmiher T. Ukrainian dictionaries and translation: A historical perspective of the 20th century // Further Insights into Semantics and Lexicography / Ed. by U. Mag¬nusson, H. Kardela, A. Głaz. – Lublin: Wyd-wo UMCS, 2007. – P. 139 149. Дитина Т.О. Лакан Ж. Бажання, життя і смерть /Пер. з рос. Т. Дитини // Ї. – “Гендер, ерос, порно” – 2004. – №33. –– с. 48 – 53. Записки НТШ. Т. 252: Праці Комісії спеціальних (допоміжних) історичних дисциплін / Редкол. : Л. Войтович, А. Гречило, Я. Дашкевич та ін. ; Ред. тому О. Купчинський; Пер. резюме англ. мовою: Т. Дитина, Р. Зорівчак, Т. Шмігер. – Львів, 2006 [de facto 2007]. – 807 с.
Да всі єдино будуть. That all may be one. Каталог виставки ікон майстерні «Небо на землі» та І. Крипякевич-Димид (1-20 червня 2007) / Пер. на англ. Т. Дитини/. – Львів. – 2007. Кам’янець. А.Б. Ґреґорі Дж., Тінторі К. Книга імен / Пер. з англ. А. Кам’янець, Т. Некряч. – Харків: Книжковий Клуб „Клуб Сімейного Дозвілля”, 2007. – 352 с.
Браун Д. Янголи і демони. / Пер. з англ. А. Кам’янець. – Харків: Книжковий Клуб „Клуб Сімейного Дозвілля”, 2007. – 544 с.
Шмігер Т.В. Записки НТШ. Т. 251: Праці Історично-філософської секції / Редкол. : Т. Гунчак, Я. Дашкевич, Л. Зашкільняк та ін. ; Ред. тому О. Купчинський; Пер. резюме англ. мовою Р. Зорівчак, Л. Рудницький, Т. Шмігер, О. Щур. – Львів, 2006. – 678 с. All the staff members are doing research into various fields of Translation Studies and Contrastive Linguistics in accordance with the Department theme “Topical problems of Translation Studies and Contrastive Linguistics” (registered with No. 0102 U 006100, since 2000) and the state-run project “The Research of Translation Principles of Hryhoriy Kochur and their Implementation into Modern Literary Translation in Ukraine” both under the supervision of Prof. R. P. Zorivchak. The chairperson R.P. Zorivchak researches the history of Ukrainian and English-language literary contacts, general theoretical and linguostylistic problems of artistic translation, reception of Ukrainian literature (in particular, works by T. Shevchenko, I. Franko, Marko Vovchok, Lessia Ukrainka, O. Kobylians’ka, O. Dovzhenko, Ukrainian folk songs and fairy tales) by Anglophone readers and reception of Anglophone literature (writings by G. G. Byron, H. Longfellow, Jack London) by Ukrainian readers, as well as the methods of training translators and interpreters. Prof. R. P. Zorivchak has authored above 700 works in Translation Studies and Contrastive Linguistics which have been published in professional journals and Proceedings, see: Roksoliana Zorivchak. Bibliography. – Comp. by U. Holovach, O. Luchuk. 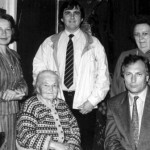 – L’viv: Shevchenko Scholarly Society, 1994 (in Ukrainian). Docent O.V. Dzera has presented her Candidate thesis “Individual Author’s Treatment of Biblical Motifs as a Translation Studies Problem (based on Ukrainian translations of Byron’s writings)” in 1999 and proceeds with her research into the genres of literary translations. Docent O.S. Hrabovets’ka presented the dissertation “Epithet Construction in Literary Translation (on the basis of Ukrainian and English)” on June 27, 2003 and lecturer R. A. Sytar presented the dissertation “Genre-Stylistic Features of Medieval Epic in Translation (based on the poem “The Tale of Ihor’s” and its Anglophone translations)” on November 24, 2006. 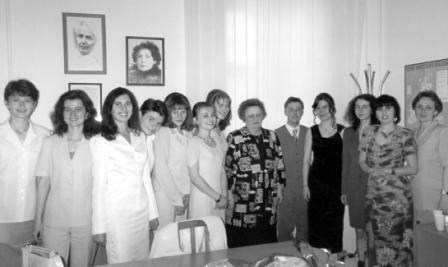 Lecturer V. R. Savchyn presented her thesis “Innovation of Mykola Lukash in the History of Ukrainian Artistic Translation” on June 22, 2006. Lecturer H. M. Kossiv presented her thesis “Translation Strategy of Vira Rich, the Translator of Ukrainian Literature” on June 23, 2006. The stylistic problems of translation are in the realm of scholarly interests of O.O. Molchko (similes). I.I. Illiv (English-language literature as presented in the Vsesvit literary magazine), H. Z. Maksymiv (Franko’s stories for children in English translations), O.S. Semenikhina (the reception of Ch. Dickens in Ukraine). 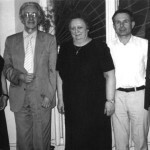 The contributions of the celebrated Ukrainian translators Hryhoriy Kochur, Mykola Lukash and Iryna Steshenko are being studied by H. V. Pekhnyk, V.R. Savchyn and O.V. Volos. The history of Ukrainian translation studies is in the scope of interests of T.V. Shmiher. I. V. Pylypchuk is working in the sphere of cognitive strategies in Translation. 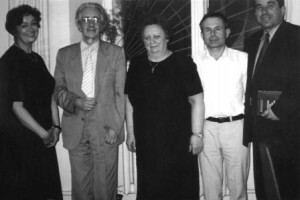 In 2003 the Department co-organised (with the Taras Shevchenko National University in Kyiv and the Hryhoriy Kochur Literary Museum) the International conference “Hryhoriy Kochur and Ukrainian translation” (Kyiv-Irpin’, October 27-28, 2003). Both lecturers and postgraduate students are active participants in the scholarly conferences of key importance, viz. the International Congresses of researchers in Ukrainian Studies (Kharkiv, August 1996; Odessa, August 1999; Chernivtsi, August 2002); the International conference “Computer Linguistics and Methods of Teaching Foreign Languages” (L’viv, May 1998); the International Congress “125th Anniversary of Shevchenko Scholarly Society” (L’viv, October 1998); the All-Ukrainian conference “Speech semantics, syntactics, pragmatics” (L’viv, January 1999); the International scholarly conferences “Word, text, time” (Poland, Szczecin, October, 1999; September 2000; September 2001), “Linguistics and verbal communication in the 21st century: Tendencies and prospects” (Kyiv, May 2000), “Professor Zhluktenko’s Scholarly Contribution and Current Linguistics” (Kyiv, September 2000), the 26th Belgrade Translators’ Congress (Belgrade, May 2001), Linguistic and Conceptual Pictures of the World ( Kyiv, October 2001), “New Tendencies in Ukrainian: aspects of translation” (L’viv, November-December 2002), “Second Karazin Readings: Two Centuries of Kharkiv Linguistic School” (Kharkiv, February 2003), “Translation as Secondary Communication” (Kharkiv, February 2004) a. o. Since November 1994 the theoretical aspects of Translation Studies and Contrastive Studies have been discussed at the fortnightly sessions of the Professor Yuriy O. Zhluktenko Methodological Workshop in Translation Studies and Contrastive Linguistics which is headed by Prof. R.P.Zorivchak. The Department is involved in very active bibliographical search. In 1999 it (in cooperation with the Scholarly Library of the University of L’viv) published the bibliographical guide “Hryhoriy Kochur” (256 p.), which is the first biobibliographic guide in Ukraine (and, probably, in the world?!). In the same series the year 2003 saw the biobibliographic guide “Mykola Lukash” (356 p., comp. by V. Savchyn, scholarly ed. by Prof. R.P. Zorivchak). Now the Department is working on preparing a theoretical collection of H. Kochur’s papers and the second, revised edition of the bibliographical guide “Hryhoriy Kochur” (in 2 vols.). Згідно з рішенням Міністерства освіти і науки України (лист від 18.09.2018 № 1010), ІІ тур Всеукраїнського конкурсу студентських наукових робіт зі спеціальності «Переклад» (далі – Конкурс) у 2018/2019 навчальному році відбудеться у Львівському національному Університету імені Івана Франка. До участі запрошуємо студентів перекладацьких відділів вищих навчальних закладів України, що спеціалізуються в перекладі германських, романських, орієнтальних та слов’янських мов українською (від навчального закладу один учасник з кожної мови). Цієї осені студенти другого курсу мали цікаве завдання із курсу «Рецепція української літератури в англомовному світі», яке передбачало проведення опитування серед українських громадян та гостей нашої держави щодо певних проблем соціолінгвістики. Частина студентів ставила такі питання: «Що значить для Вас Слово?», «Яких англомовних письменників Ви знаєте?» та «Чи можете продекламувати якусь поезію?» Опитування проводилося із відеозаписом. 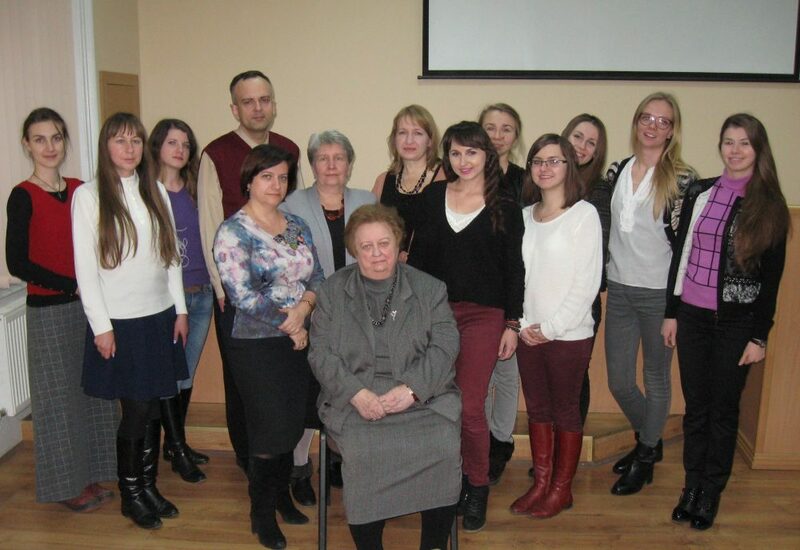 Held on 17 November was another scholarly seminar at the Department of Translation Studies and Contrastive Linguistics named after Hryhoriy Kochur. The audience had the pleasure of listening to Borakovskyi L. A. presenting his dissertation research dedicated to the subject of religious conflicts as depicted in Galician literature (1848-1914). The Memorial Meeting will be held on Monday, April 24, 2017, at 5 pm in the Mirror Hall, Ivan Franko National University of Lviv. at the Belarusian Greek Catholic Church in London. 2. Translation Studies Analysis (in English). © 2019	Faculty of Foreign Languages. All rights reserved.